Marwa al-Sabouni, an architect from Homs, said in her book The Battle for Home: The Vision of a Young Architect in Syria, that “the undoing of the urban fabric has advanced hand-in-hand with the undoing of the moral fabric”. 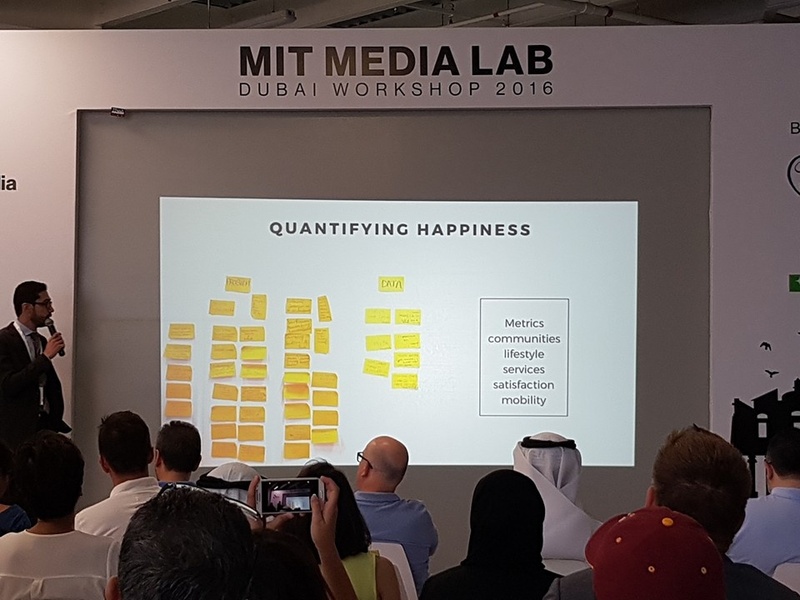 A chilling observation, but one appropriately used this week at the close of a five-day MIT Media Lab workshop in Dubai, hosted by Community Jameel and Wamda. Four teams made up of students, entrepreneurs and professionals had to identify a need and come up with a solution or product around four tracks: digital tools for a cooperative society, urban intervention with data, learning for underserved communities, and development of smart communal spaces. Once a city started to fall apart so did its people, said al-Sabouni. As obvious or even trite as that might sound, even with our digital and technical capabilities it is humans and their interactions with one another that drive each of the solutions that were created last week. Some alarming numbers were bandied about during the hackathon, not least of which from Architects for Humanity founder Cameron Sinclair. By 2044, 325 million people are going to be displaced by either man-made or natural disasters. His afternoon talk on day three was about relieving and rebuilding communities in the wake of traumatic events, and the huge impact this would have on existing urban hubs. 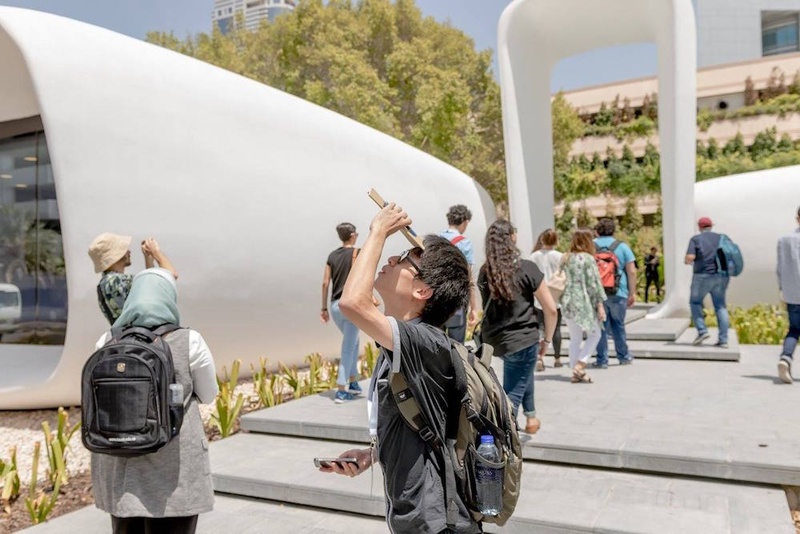 The four teams, ensconced for four days out of the sweltering sun and in a warehouse in the Dubai-manufactured arts district of Al Serkal, were led by mentors from MIT Media Lab (MIT ML), MIT and the branding US-based agency IDEO and attempted to do just that. Ryan Zhang who is currently at MIT ML’s Changing Places Group, led the data track along with Dawei Shen, a startup cofounder of Waylens in Boston, and MIT ML alumni. 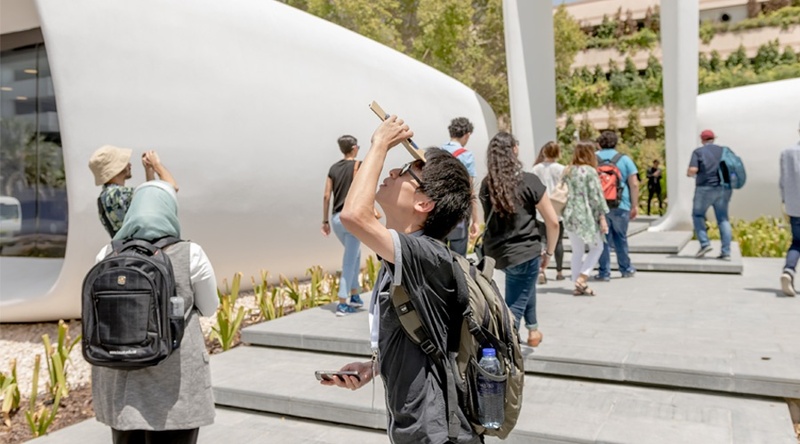 As a way of using the already existing data generated about a certain part of Dubai, the urban intervention track used MIT ML’s CityScope tool to take data and see how the tweaking of certain part of the city would impact it. And being made with Lego, it is seen as a tool that can be accessible to non-professionals in the field, and children. 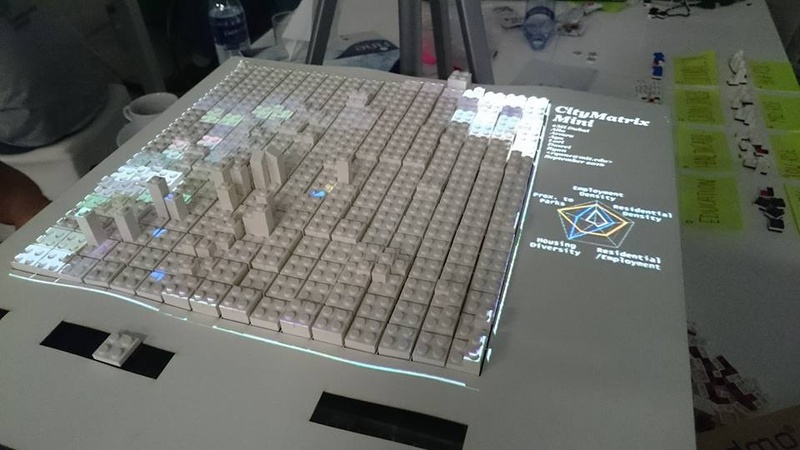 The City Matrix and its Lego intervention in cities. His track's solution? An app for connecting volunteers to NGOs. Startup founder Saïd Abou Kharroub said that the concept of volunteering is a humanitarian approach to improving the cities we live in. The Aidy team making their pitch. The track looking at how to bring education to underserved communities visited Jordan’s Zaatari refugee camp as part of their field trip. They wanted to see how they might bring education to the children in the camp. Using virtual reality (VR) they hope to help provide memories of a Syria that many of the children have now never seen. It uses Google maps to create imagery for the user and lets those who have memories of a place to add them to the visual experience. The team was led by Philipp Schmidt and Gabriel Fields, director of learning innovation at MIT ML and an undergraduate at MIT, respectively, and originally thought they would create a solution around vocational training. But the team found that from their interviews with various people at the camp that there was something else needed - hope and motivation in a different medium. Taking the human interactions and how they shape our cities in another direction, the smart communal spaces track worked on an office of the future. Seeing VR as something that is often viewed as separating people, Kaleponis and her co-lead Poseidon Ho, from Changing Places Group, agreed that they wanted to get people to collaborate in a communal space, with the VR, but using gestures and close contact. Hence, the office of the future. One of the field trips, at the Museum of the Future in Dubai. 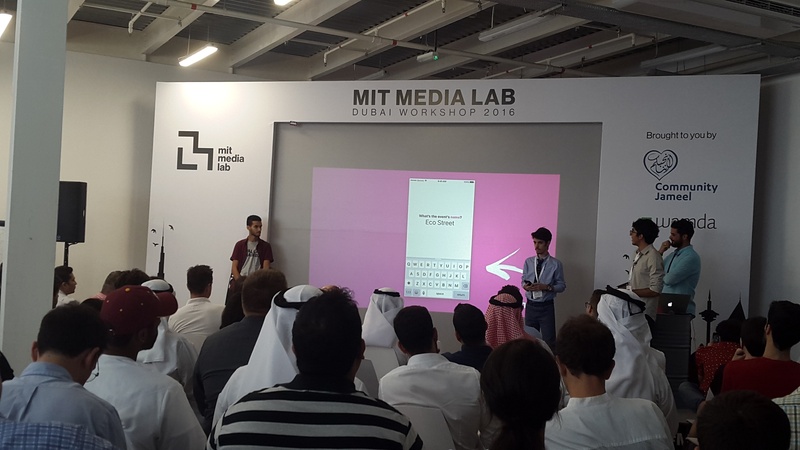 Now in its fourth year this MIT Media Lab workshop programme has been held in Sao Paulo, Mexico and Abu Dhabi. The first of which was held in Detroit. They originally hand-selected the staff they asked to lead teams but now have open calls for leaders and mentors. Looking at the ideas that were presented, she told Wamda they would likely see all the ideas be deployed eventually, especially City Matrix, an existing project with the MIT ML, being iterated on by the data intervention track. Next stop Kyoto in May 2017, where Sousa said the theme was likely to be around the arts.